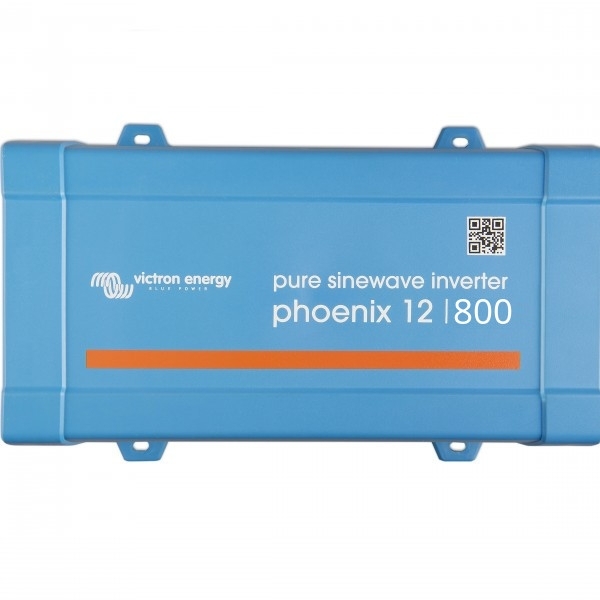 Developed for professional duty, the Phoenix range of inverters is suitable for the widest range of applications. The design criteria have been to produce a true sine wave inverter with optimized efficiency but without compromise in performance. Employing hybrid HF technology, the result is a top quality product with compact dimensions, light in weight and capable of supplying power, problem free, to any load. Inverters allow you to power domestic equipment - requiring 230V/120V AC - using 'leisure' or 'automotive' batteries rated at 12V, 24V or 48V DC. Phoenix Inverters are built to last. They feature sophisticated full-bridge and toroidal transformer topology - which is suitable for powering sensitive electronics. They are overload, temperature, and short-circuit protected. Some electronic devices - particularly those which have an electric motor - require short burst of energy on start-up which is much higher than their rated power consumption. No problem - the Phoenix inverter has industry-leading peak-power capability. A high power draw on start-up can trigger false alarms, and shut-downs. Phoenix makes allowance for this and only shuts down in cases of persistent overload. Intelligently - shut downs will be followed by a series of re-starts - to eliminate 'false alarms'. In Eco mode the inverter shuts down when no power is required. Phoenix senses the output socket every couple of seconds and automatically turns back on if power is again required. Phoenix has a communication port providing access to status information, alarms and automatic user-configurable low-voltage shut downs. Shut downs will be followed by a series of intelligent re-start attempts. User settings can be accessed from your computer or mobile device via VictronConnect - our free-to-use app. The full bridge plus toroidal transformer topology has proven its reliability over many years. The inverters are short circuit proof and protected against overheating, whether due to overload or high ambient temperature. Needed to start loads such as power converters for LED lamps, halogen lamps or electric tools. When in ECO mode, the inverter will switch to standby when the load decreases below a preset value (min load: 15W). Once in standby the inverter will switch on for a short period (adjustable, default: every 2,5 seconds). If the load exceeds a preset level, the inverter will remain on. A remote on/off switch can be connected to a two pole connector, or between battery plus and the left hand contact of the two pole connector. Please see manual for a description. For our low power inverters we recommend our Filax Automatic Transfer Switch. The Filax features a very short switchover time (less than 20 milliseconds) so that computers and other electronic equipment will continue to operate without disruption.